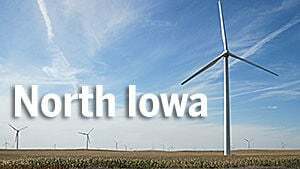 A bill moving through the Iowa House transportation committee would regulate electric scooters before they pop up in cities around Iowa including Cedar Rapids, which is considering offering the device as part of its planned bike share fleet. Electric scooters weigh less than 100 pounds and are equipped with two or three wheels, handlebars, a floorboard capable of supporting a standing rider, and are powered by the rider or an electric motor capable of speeds up to 20 mph, according to the latest version of House Study Bill 38. The bill proposes defining an “electric standup scooter,” determining where and how they can operate, and setting penalties. Bird, an electric scooter rental company based in Venice, Calif., provided the framework of the bill, which essentially treats scooters as bikes. They’d be allowed on roads, sidewalks and bikeways; riders would follow the same rules of the road as bicycles; and they would follow the same guidelines for parking. The bill passed out of a transportation subcommittee Wednesday morning, but questions remained over whether municipalities would have local control over electric scooters and if there are insurance requirements. There’s also “heartburn” over whether electric scooters should be allowed on sidewalks, Hinson said. She anticipates working through the differences and bringing the electric scooter bill to the full committee late next week. Companies have expressed interest in launching mainly in Ames, Iowa City, Des Moines and possibly Cedar Rapids — places with vibrant downtowns and pedestrian areas where they make sense, Hinson said. Rental scooters have become trendy devices in a number of cities around the country, such as along the coast of California and in Charlotte, N.C. Users can reserve the scooter on mobile devices and collect them from a kiosk or within a targeted area. The scooters have also faced criticisms as nuisances in some places where the rentals are left scattered around the community, and rampant use has led to potentially dangerous encounters with bikes, pedestrians and vehicles. Cedar Rapids officials still are weighing whether to include electric-assist bikes and scooters as part of a bike share program run by VeoRide, which has offices in Chicago and West Lafayette, Ind., said Bill Micheel, the Cedar Rapids assistant community development director. The program, which is expected to launch in May, promises 200 bikes available for rent and 20 stations in the downtown area where users can pick up and drop off the bikes. Micheel was not yet sure what impact the electric scooter legislation could have in Cedar Rapids, but his team has been reviewing how electric scooters would comply with local and state codes. Jen Schulte, government relations director for the city of Des Moines, said the city is following the legislation closely. “We just want to be able to regulate them and have local control,” she said. Cedar Rapids is not yet listed as following the legislation, while Des Moines has not taken a position. Only Bird is listed as in favor, while Uber and motorcycle lobby Abate of Iowa are listed in opposition under lobbyist declarations. Dozens more lobbyists are tracking the legislation but are listed as undecided in terms of support or opposition.